The famed “Mississippi Baby,” who was thought to be functionally cured of HIV, has experienced a resurgence of the virus and is once again taking antiretroviral (ARV) therapy, The New York Times reports. The news is a major blow to the HIV cure research field, which over the past year has fervently sought out ways to replicate the apparent success of this child’s case. The child made headlines in March 2013 when researchers first described the case at the 20th Conference on Retroviruses and Opportunistic Infections (CROI) in Atlanta. After the baby was born to an HIV-positive mother in Mississippi who did not take ARVs during her pregnancy, caregivers gave the newborn an atypically aggressive HIV treatment regimen 30 hours following the birth. ARV treatment continued until the mother and child were later lost to follow-up for a five-month period beginning when the child was 18 months old. After the child ultimately returned to care, even the most sophisticated tests could not detect any virus in the child’s body. The clinicians kept the child off ARVs. Now the child is two months shy of 4 years old. Last week, blood work showed the child had a viral load of 16,750. Clinicians resumed HIV treatment, and thus far the viral load has dropped to 2,658. Tests confirmed that the virus was the same that was inherited from the mother and not a new strain. The child is not currently in the mother’s care. Researchers expressed their profound disappointment over this turn of events, but they saw a silver lining in the fact that they have learned a great deal from the case. 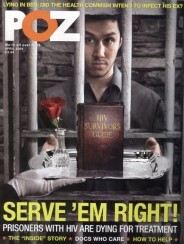 It is, after all, highly profound that someone would suppress the virus without ARVs for 27 months. Typically, viral rebound occurs just a few weeks after a treatment interruption. To read the NIH press release on the new findings, click here. 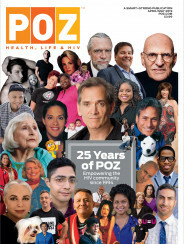 To read an April 2013 POZ/AIDSMeds feature on the Mississippi Baby and the controversy over whether the child was really cured or not, click here.